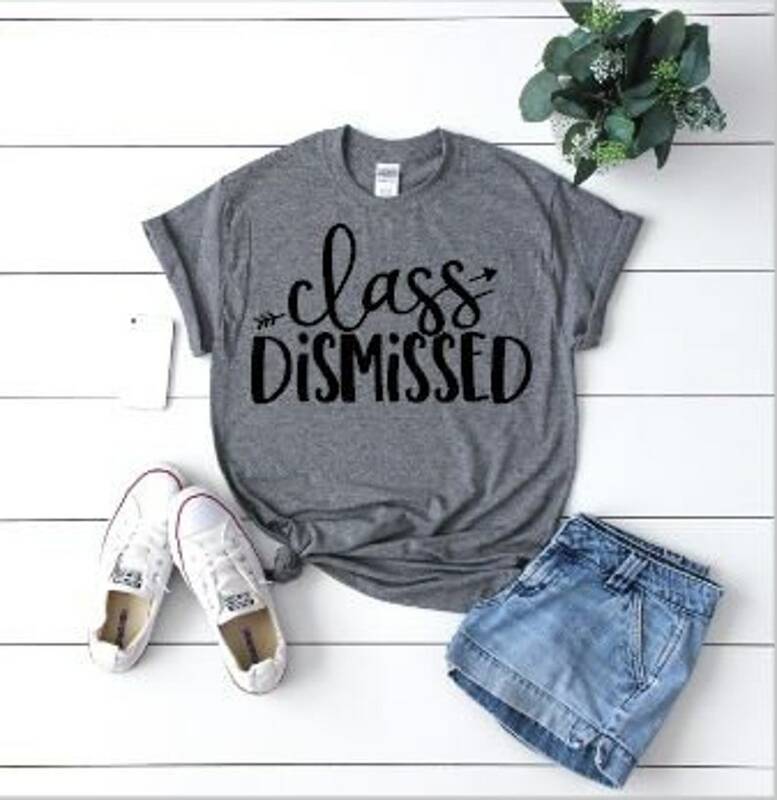 Class dismissed! Will we survive until the last day? Beautiful and great quality! I received many compliments on he last day of school! So very cute! I love this short so much I ordered one for a friend! I ordered four sizes of this shirt as gifts. They are excellent quality, beautiful, and very comfortable! Not to mention the customer service was AMAZING. I needed these on short notice, and she worked with me to make sure they arrived on time. This seller will go above and beyond to help, and her product is worth every penny!